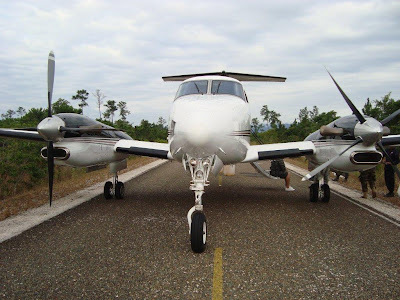 A twin-engine plane believes to have been carrying cocaine landed on the Southern Highway in Bladen Village, Belize early Saturday morning. Seven people including senior police officers are detained in connection with the illegal landing. When a Belize Defense Force (BDF) team arrived in the area they found the road blocked with logs. 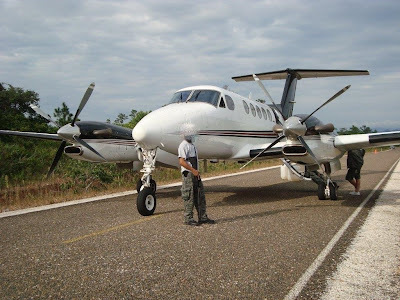 The plane was empty and it is believed that its contents were ferried by waiting vehicles to a boat on the Caribbean Sea in nearby Independence Village. Residents report hearing a plane circling low in the area early Saturday morning. 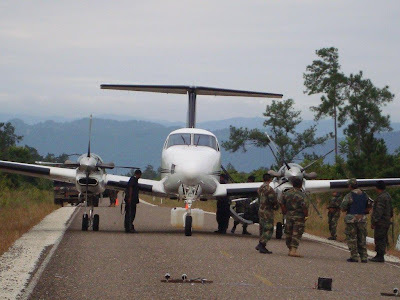 It is also believed that a second plane was also scheduled to land, but was aborted when the BDF showed up. 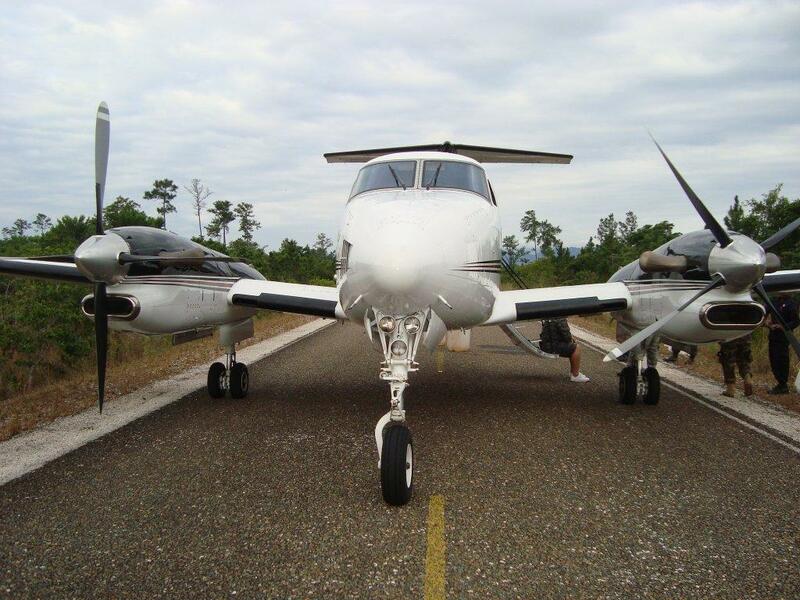 A search was being conducted for that second plane believed to have been running low on fuel. All indications that this illegal landing operation was carefully orchestrated with senior police officers providing logistics and or security services. Police are being tight-lipped about the incident and a promised official report has still not been issued by the police press officer. This is nothing new, has been happening for years, but finally officers are arrested or involved. We all knew that this was happening under the previous administration. A complete disgrace in 2010 for this to continue to be happening especially since Mr. Barrow campaign on cracking down this type of crime. I HOPE that they are fully prosecuted and no one drops the ball. Los Zetas have their presence in Belize and we are feeling it.Last week The man said he was going to get the money but "don't ask him where the money...was coming from", now we know. 'corruption again! 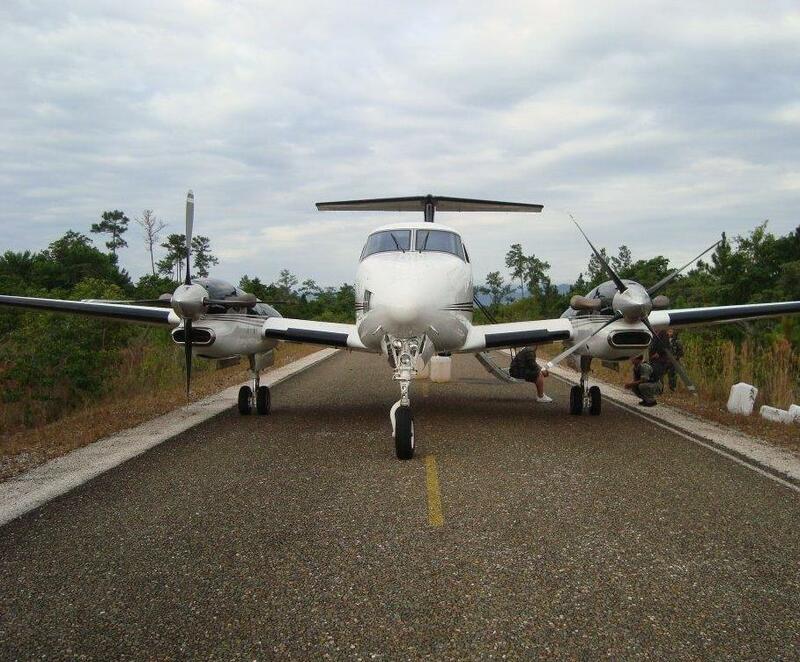 GOB will cover it like all other,imigration-passports scandals uncovered,the prime minister promised transparency and accountability and nothing has been done infact it has gotten out of control'.now GOB has a new plane like our prime minister love to waist our tax dollars in travelling now he can have dis drug plane fi travell abroad". Why not take this on a positive note. We do have honest police officers and BDF personnel that do a good job, otherwise those responsible wouldn't have been arrested. Also, on another positive note, this is one of the biggest drug bust for Belize. It takes a country to make a safe nation, kudos to those who alerted the police. Because of a few who are corrupt, the entire department suffers and hence, those responsible for this illegal activity should apologize to the Police Department for contributing to their discredit and embarrassment. Good job to the Police Department and other law enforcement officers who participated in doing what is right. I believe the author and other media houses should understand that there is a process that the Police abides by in order to release information- they are called protocols. Ya hafta thank the Colombians for all of those great boats and planes left to the locals over the years. They make an especially nice boat. From what I heard, this was a scheduled landing to unload and the plane was supposed to take off, but someone forgot to bring the AV fuel or the plane could not take off for some other reason. Police are not being tip lipped, just investigating before a statement is issued. I suppose it's too much to expect anyone to be able to tell us to whom this plane is registered or where it is registered. Things have come to a pretty sorry state when we are told on the news "police are in attendence" and the first question that comes to mind is "yes but were they waiting in ambush or awaiting delivery?" Like many other major incidents this will no doubt be brushed under the carpet along with DFC, Chinese immigrants, police officers said to have masterminded the Spanish Lookout bank job and others. What happens with the planes is a bit strange. They are auctioned off but they have very little value without the log books. As a result the "high bidder" is always the guy with the log books, he shows up with the log books pays the $50,000 or less "auction price" and flies it off back to where it came from. Happens the same every time.